The most common use is on a 19.5” – 22” front steel wheel. 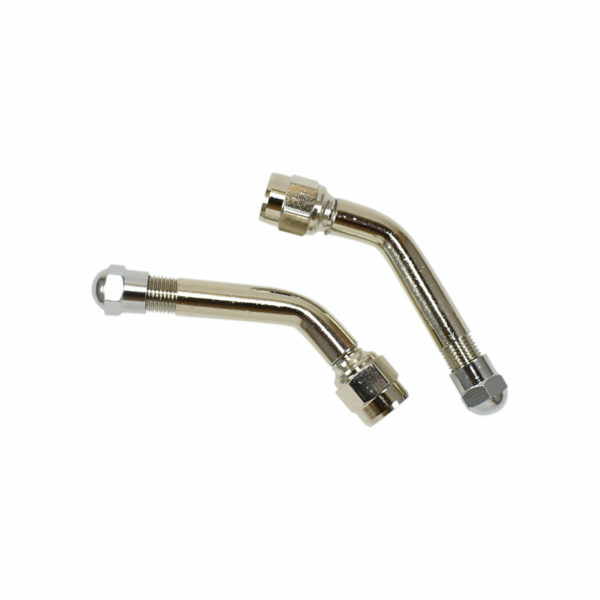 The 45 degree bend will make direct access for adding air or a TPMS sensor to your valve stem without reaching through the cover or simulator. 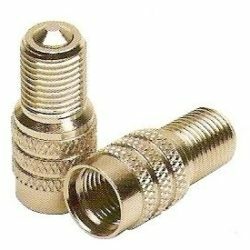 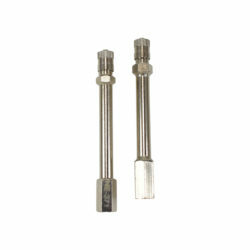 These high quality, durable, nickel plated brass valve extenders have hexagonal end for easy installation with a wrench. 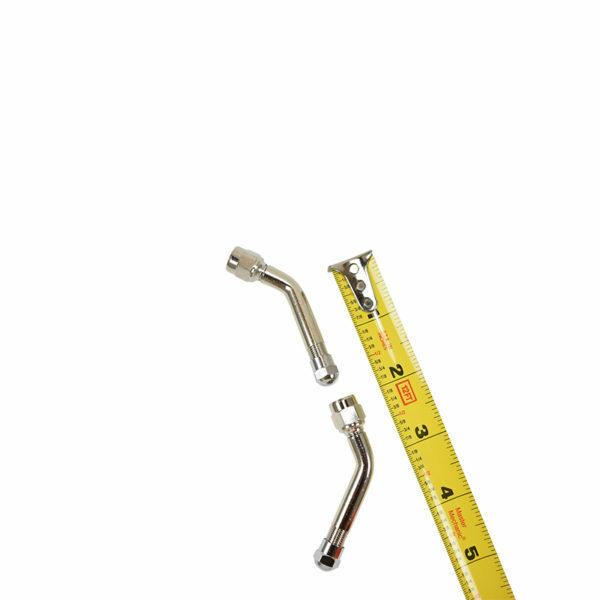 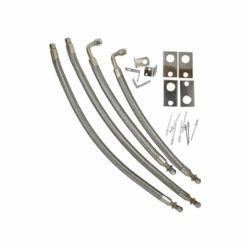 The extension will spin until tightened, making it easy to add to any hard-to-reach valve stem.